Useless Bay is a minor indent along the Whidbey shoreline. While it was named by boaters for its lack of protection, it offers lots to anyone who enjoys saltwater. 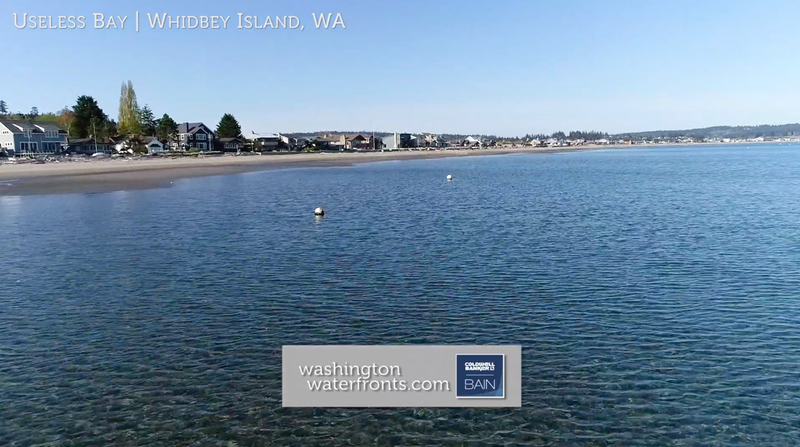 The bay and the residential area that surrounds it is situated the southern region of Whidbey Island, just under four miles southeast of the town of Freeland and less than a 20-minute drive to the Clinton/Mukilteo ferry terminal. Those who own Useless Bay waterfront real estate enjoy spectacular views of the bay as well as Deer Lagoon and Puget Sound, along with easy access to Double Bluff Beach Park, one of the island’s most popular beaches for clamming and quiet strolls. The beach also offers a view of the distant skyscrapers of Seattle, a reminder to many as to why they’ve decided to ditch the city and enjoy living here all year round. With Useless Bay waterfront real estate, you’ll have it all, whether it’s as a permanent or part-time residence: tranquil surroundings, the water, the beach, the sunsets, the birds - bald eagles and great blue herons are seen on a daily basis. A number of casual eateries are nearby, as well as a fantastic distillery and multiple artist studios, and when you can tear yourself away from that view, the ferry to the mainland, including Seattle, is just minutes away for convenient access to major shopping, dining, the big game, nightlife and more. Many city amenities can also be found in Coupeville and Oak Harbor at the north end of the island. Useless Bay waterfront real estate typically includes a mix of two-story construction and traditional single-family homes, many with porches for enjoying the view, along with a handful of magnificent, high-end beach estates that come complete with all the amenities you’re looking for and some you didn’t even know you wanted. Take advantage of our industry-leading tools to make your property search as easy as possible and be sure to register for a FREE account so that you can receive email alerts whenever new Useless Bay real estate for sale hits the market. If you’re seeking to sell your Useless Bay property, contact our Waterfront Specialists directly for a comprehensive listing analysis and to learn more about the cutting-edge marketing strategies we’ll use to sell your home quickly for top dollar!